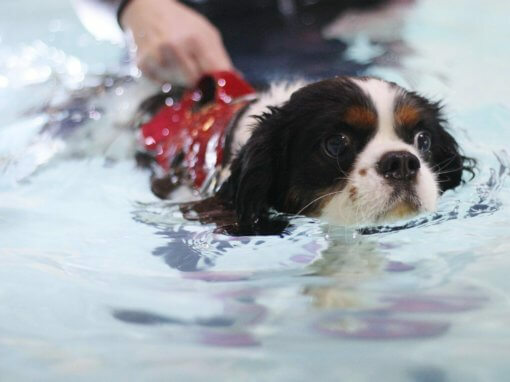 a little dog!) 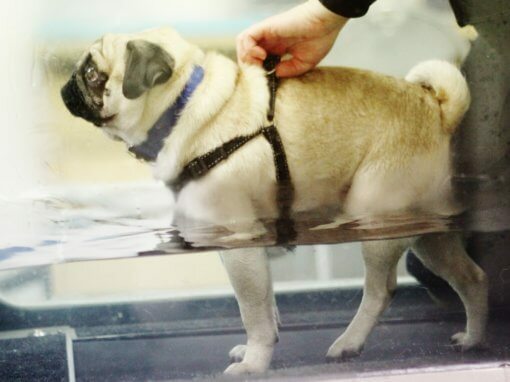 and her hind limb measurements are now even which is a fabulous result. 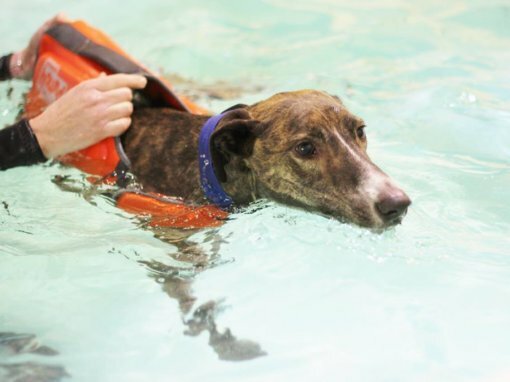 We really enjoy Georgie’s visits to the centre each week, she is such a sweet natured little girl and has a very special place in our hearts. 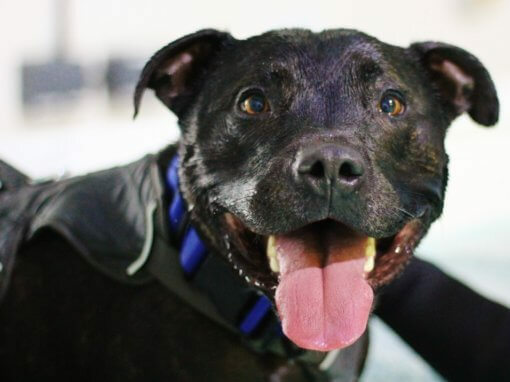 She arrives at the centre with a “woo woo woo” to let us know she is waiting and can’t wait for her session with “Mr Parrot” (we really should get more imaginative with our naming of toys!) 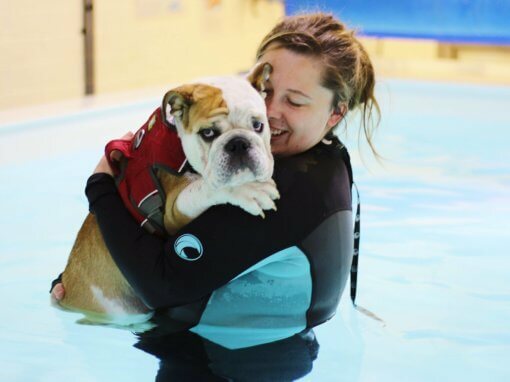 Georgie most certainly has a spring back in her step it’s wonderful to have been part of her journey to recovery. 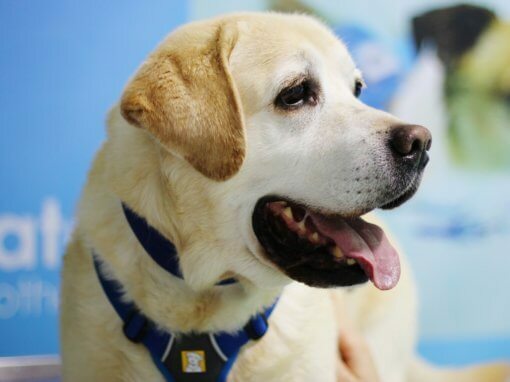 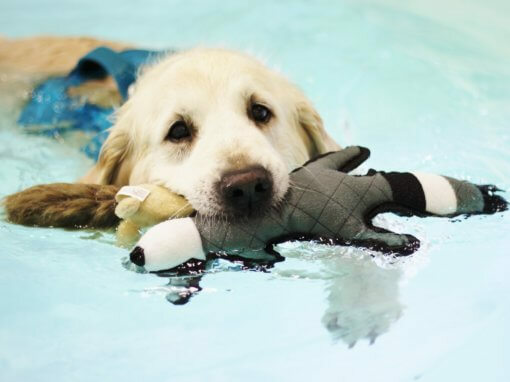 Georgie had undergone two unsuccessful cruciate ligament operations and was becoming more and more lame. 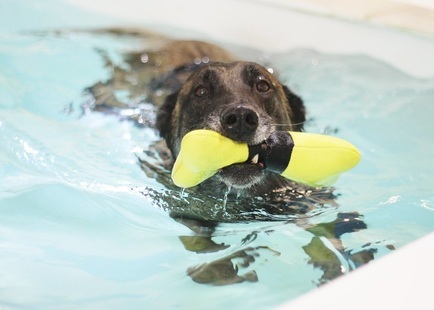 She came to Bluewaters to strengthen her wasting muscles. 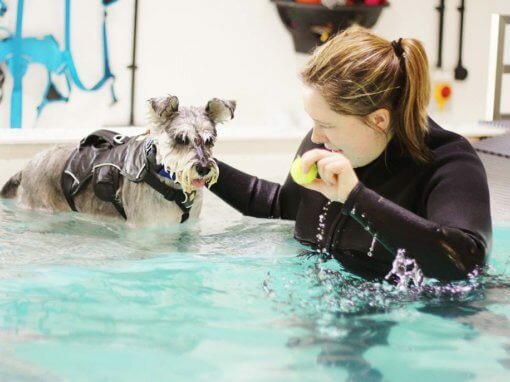 She was referred to a specialist hospital and had a final operation where they said if she hadn’t had hydrotherapy she would not have had the result she had. 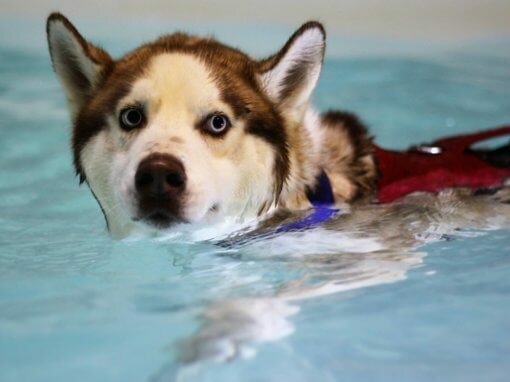 She is walking again and running around. 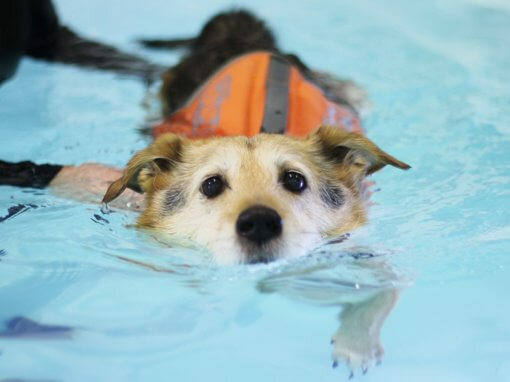 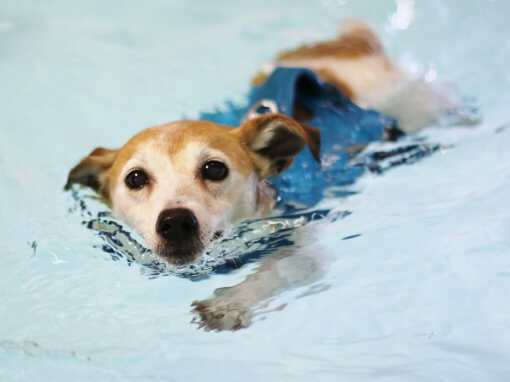 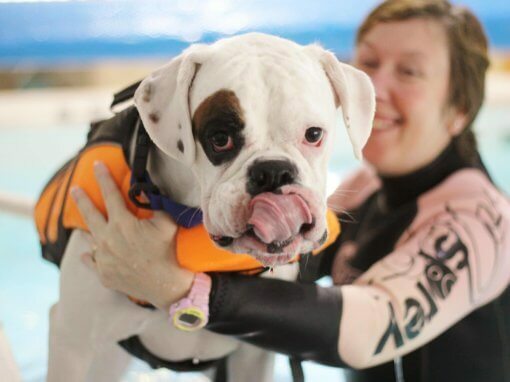 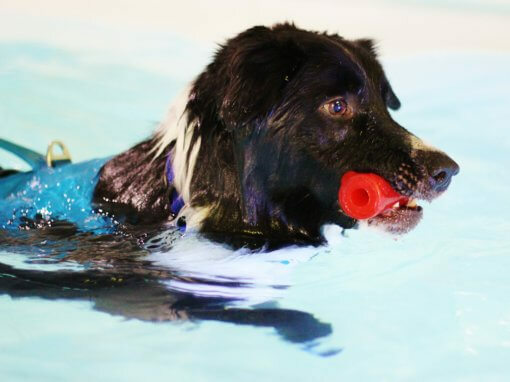 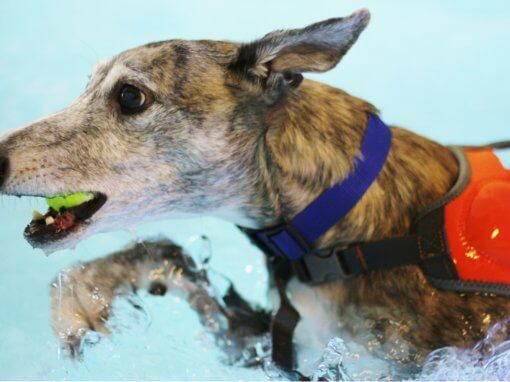 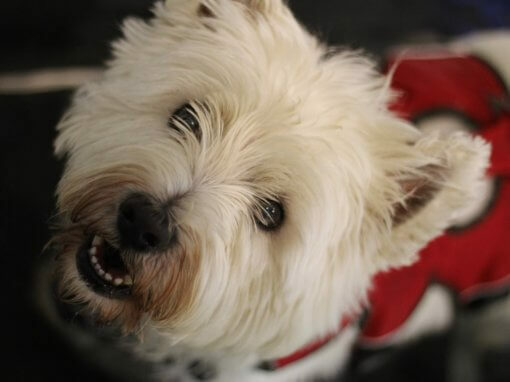 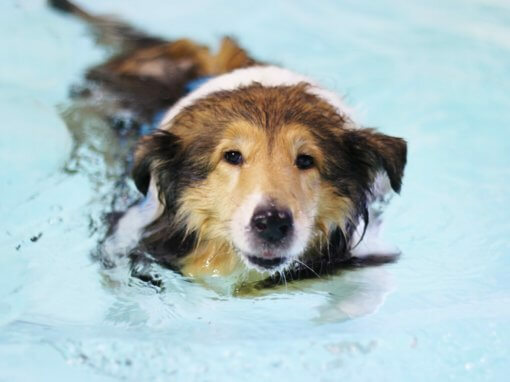 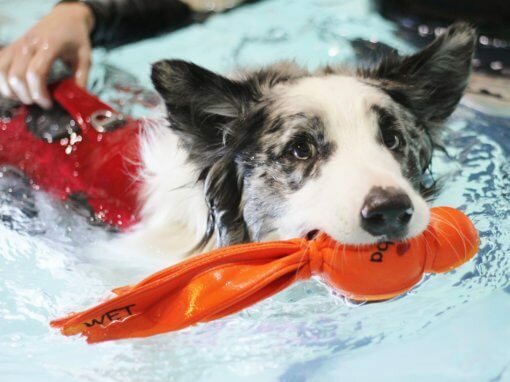 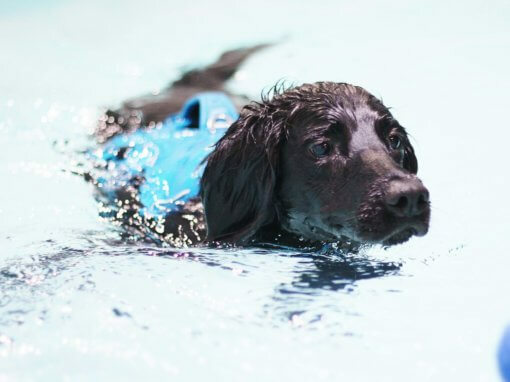 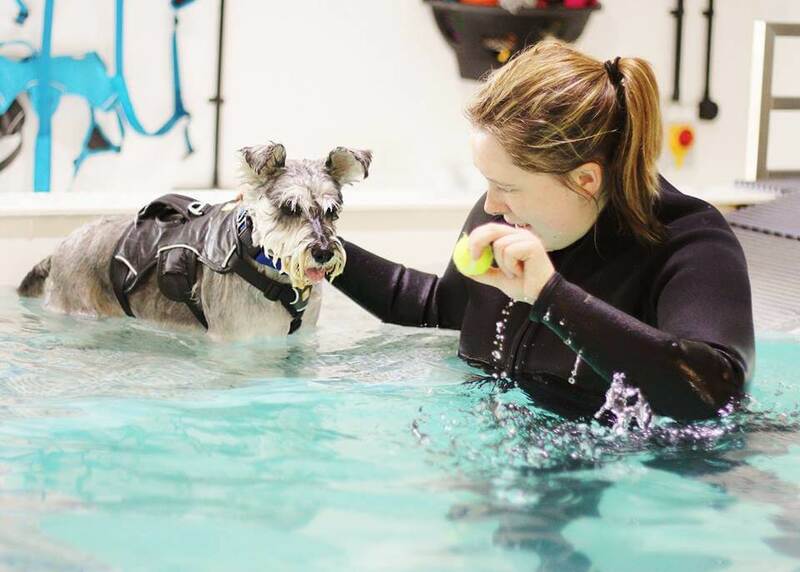 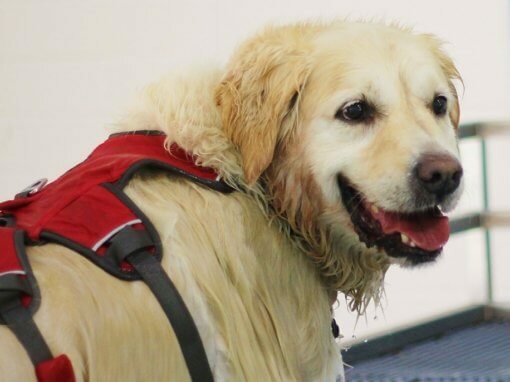 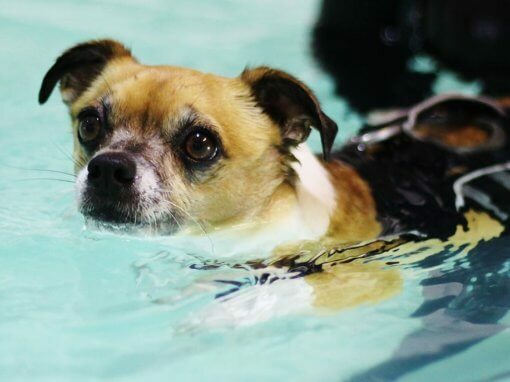 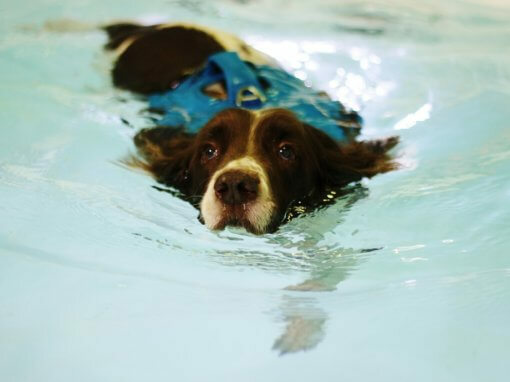 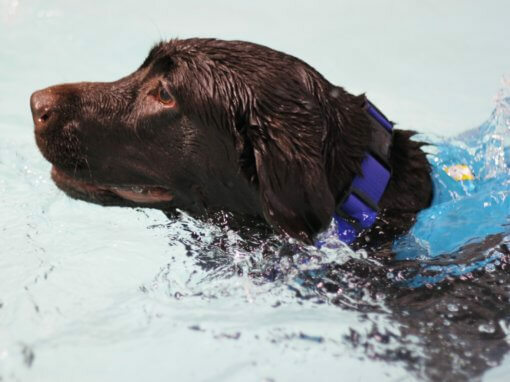 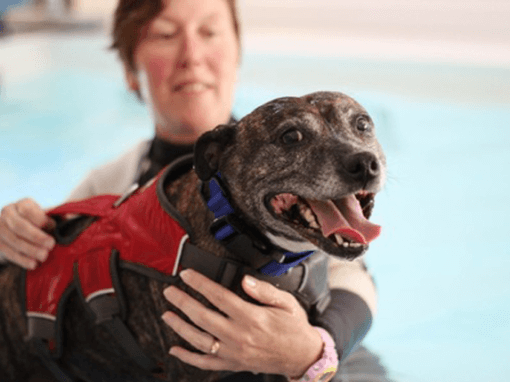 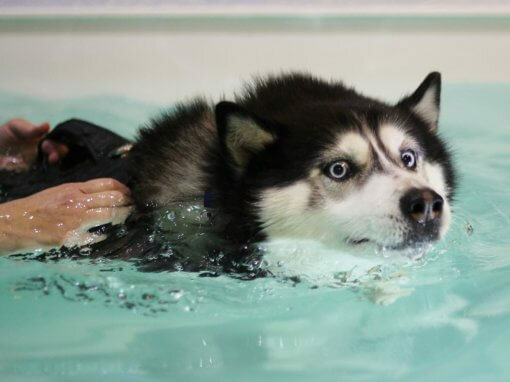 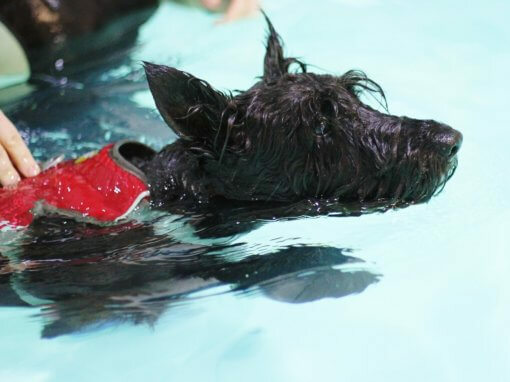 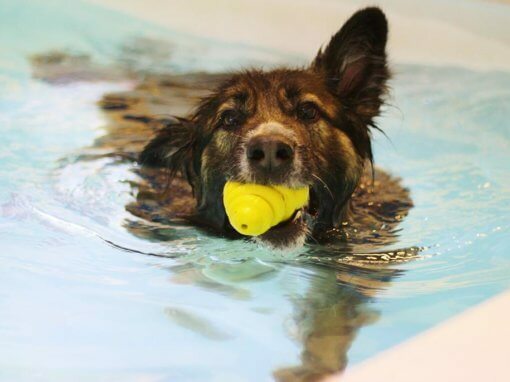 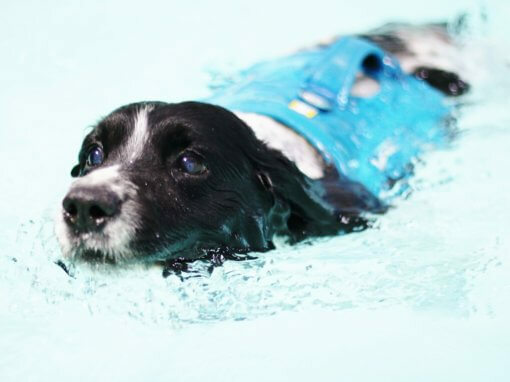 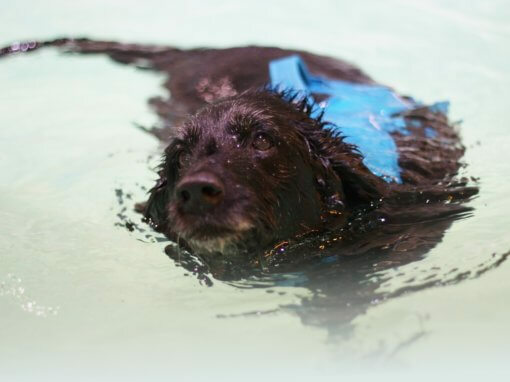 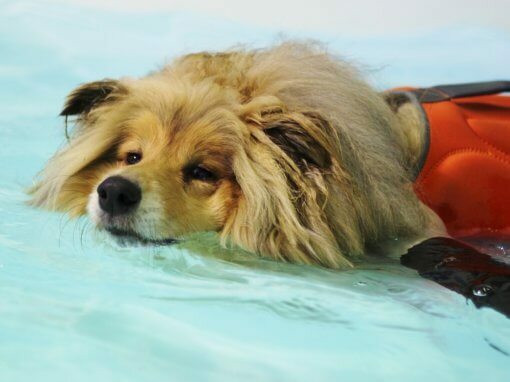 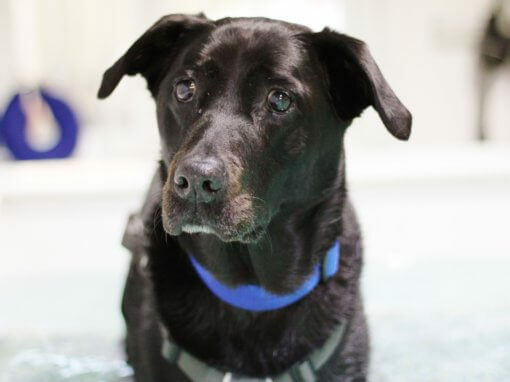 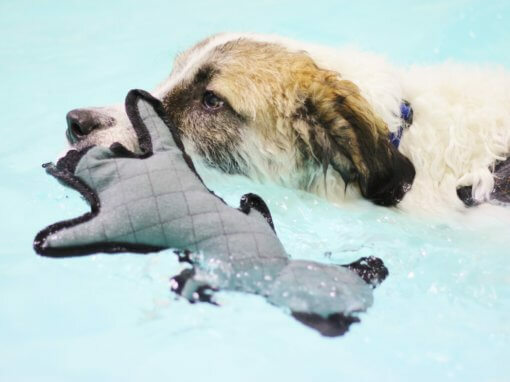 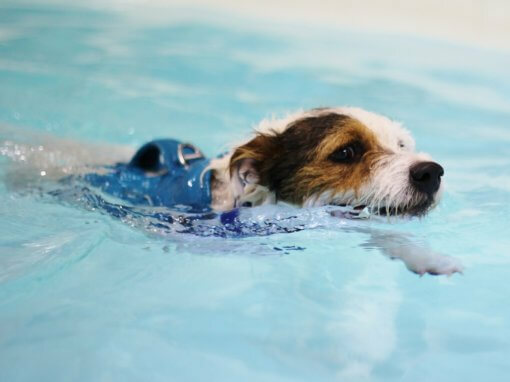 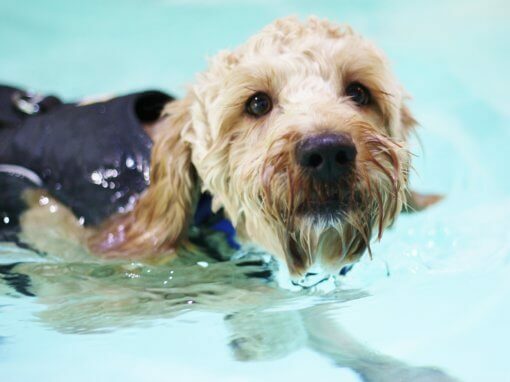 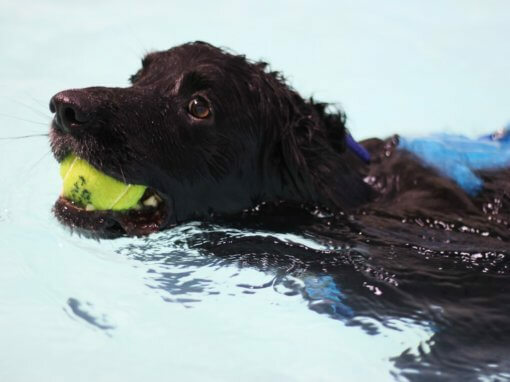 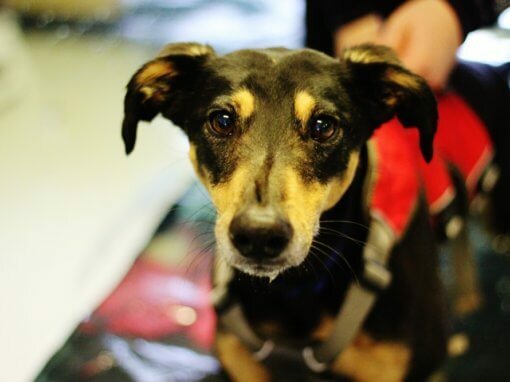 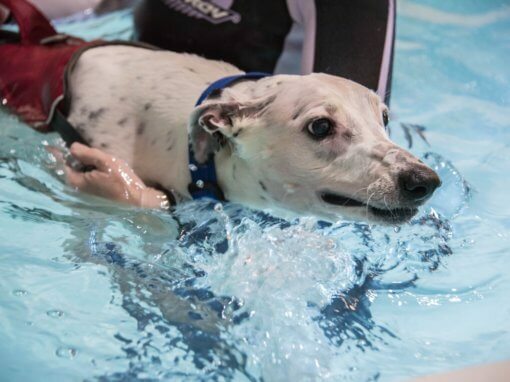 Georgie still comes to hydrotherapy which she loves to do. 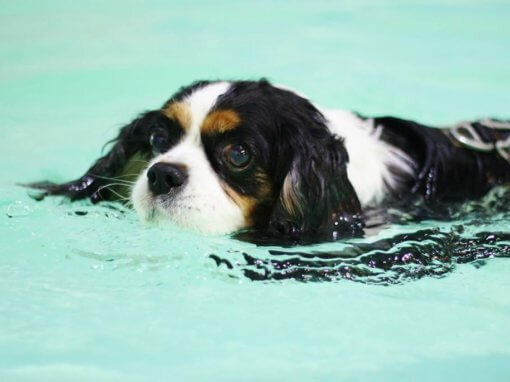 Georgie was never a dog that swam but now she just loves it. 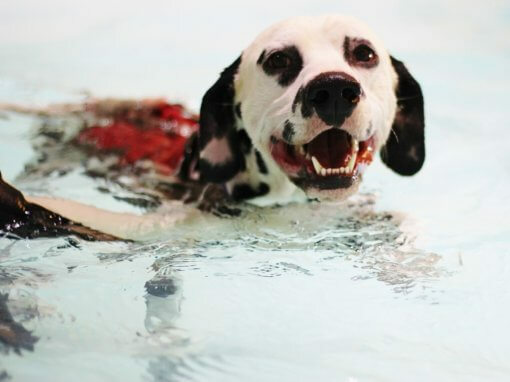 She gets so excited to get into the water plus the health benefits are brilliant. 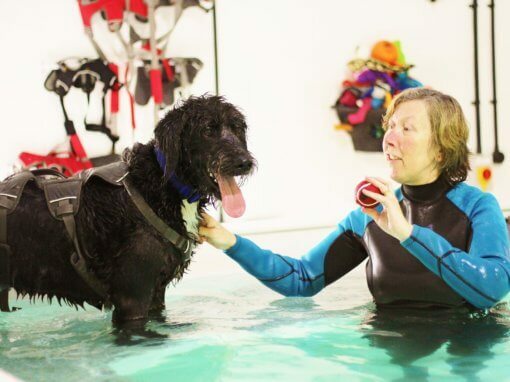 The team are great and like a family – we thoroughly enjoy our visits, thank you Bluewaters!